Elite Slim Extreme Reviews: Does Elite Slim Extreme Work Safely? 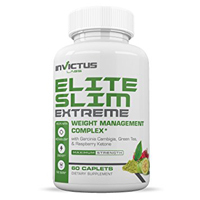 Elite Slim Extreme promises to help you “get fit the natural way.” A product of Invictus Labs, this dietary supplement that has been formulated as a weight management aid, and works in three ways to help you slim down. 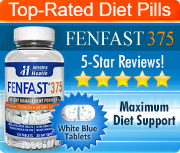 The first way in which it supposedly benefits those who take it is it increase fat loss. 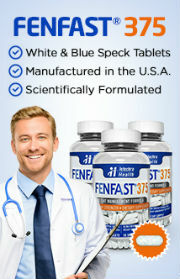 The second benefit is it improves body composition. It doesn’t just boost fat loss, but helps to maintain and build lean muscle tissue. The third benefit is appetite suppression. It helps to stop food cravings, which can lead to greater fat loss. According to this product’s official sales page on Amazon, Elite Slim Extreme is different from other dietary supplements for weight loss because it contains the strongest natural fat loss ingredients available and its ingredients are restricted to the most effective research-based ingredients, which, in turn, delivers the best results. When this review was written, these ingredients included: Garcinia Cambogia, Green Coffee Bean, Raspberry Ketone, African Mango, Acai Berry, Horny Goat Weed, L-Arginine, Psyllium Husk, Yacon, Alfalfa. Simply by looking at the above list of ingredients, it is obvious the claims made about this formula containing the most effective research-based ingredients is false. While each of the ingredients have been studied and some of them, like green coffee bean, raspberry ketones, African mango and garcinia cambogia, are very popular in the weight loss industry, these are not the strongest fat loss ingredients. Furthermore, none of them have been proven effective for weight loss. The closest ingredient that is likely to produce effective fat loss results is green coffee bean. This is simply due to the fact that it contains caffeine, which has been found to help boost metabolism and maximize fat burning when combined with physical activity. Still, caffeine hasn’t been proven to effectively and safely cause measurable weight loss. As for garcinia cambogia, this is believed to help suppress appetite and block the body’s ability to burn fat. Raspberry ketone is thought to help increase metabolism and may reduce appetite and boost the rate at which the body burns fat. African mango is believed to be an appetite suppressant. In spite all of these claims, sufficient clinical studies are lacking to support this evidence. The suggested dose is to take 2 caplets by mouth, daily. Those who wish to use Elite Slim Extreme are cautioned to consult their medical practitioner before using this product if they are taking medications, are under physician care or are pregnant or nursing.